This statistic shows the wine preferences of people in France in 2015, by region. 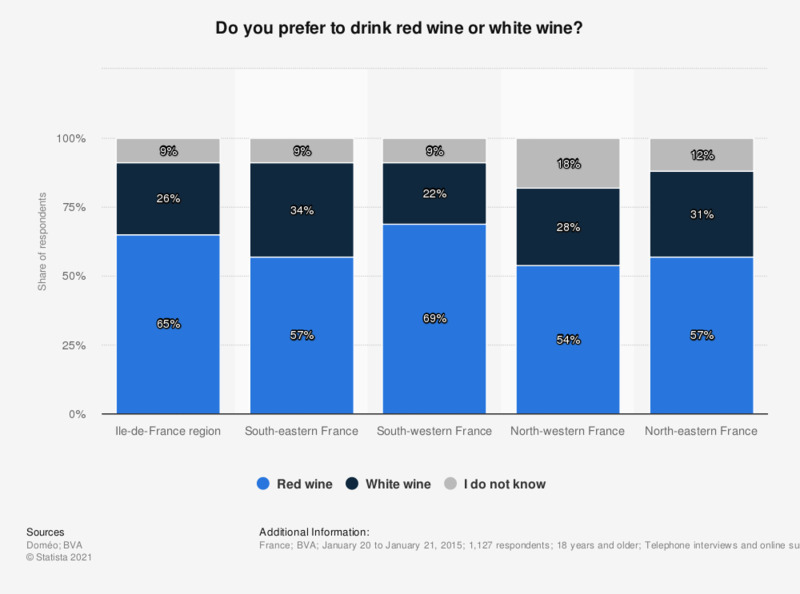 It reveals that 65 percent of respondents from the Ile-de-France region preferred drinking red wine while 34 percent of respondents from South-eastern France had a preference for white wine. This question was phrased by the source as follows: "Préférez-vous plutôt le vin rouge ou le vin blanc?"